This has been a wet year for much of the country. There has been extreme rain and extensive flooding, especially along the Atlantic Coast. Property damage estimates from Hurricane Florence have now reached $22 billion, according to CBS News. Pennsylvania, Maryland and Virginia have all seen historic rainfall amounts over the summer, also leading to property damage. Although much of that water damage was caused by historic flooding, some can also be traced to roof leaks, clogged gutters, and issues with siding and windows. If you have water damage to your home and don’t have flood insurance, you could be looking at a very large repair bill. 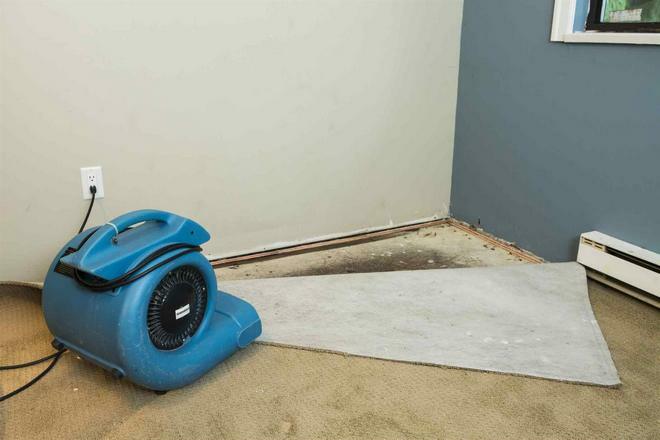 Here are some common types of water damage and the associated repair costs. There are three main types of water damage to basements. One is from a burst pipe, which is referred to as “clean water.” Another is from a washing machine or other appliance overflowing or leaking, which is called “gray water.” The worst is sewage-tainted “black water,” which is the most expensive to clean up and what many homeowners experience as the result of rainwater flooding. HomeAdvisor estimates that depending on the water level, type of water and whether your basement was finished or unfinished, repairs could cost up to $10,000. When the problem isn’t floodwater but rather extreme rain, clogged gutters can contribute to water in basements. Roof gutter guard systems can help prevent clogged gutters and keep water flowing away from your home rather than into your basement. Sadly, flooding reports and images from the news have shown many homes with standing water throughout the first floor. This damage is much costlier to repair. In many cases, you’ll have to completely remove the drywall and appliances, and replace cabinets and furniture. A burst pipe or appliance that malfunctions is covered by insurance, but floodwater isn’t covered by a standard homeowner’s policy. You must have flood insurance for coverage. According to Homewyse, you’re likely to pay as much as $25,000 per 1,000 square feet just to repair flooring, framing and drywall. Once you add your personal belongings, cabinets and appliances, you’re looking at considerably more. Hopefully you don’t have water damage to your second floor or higher, because that often means you need to re-build. Another type of water damage is to your home’s exterior. Exterior water damage from overflowing gutters, windblown rain and standing water against your home is easy to prevent. Proper landscaping, roof gutter guard systems and regular maintenance all keep water out of your home and away from your foundation. 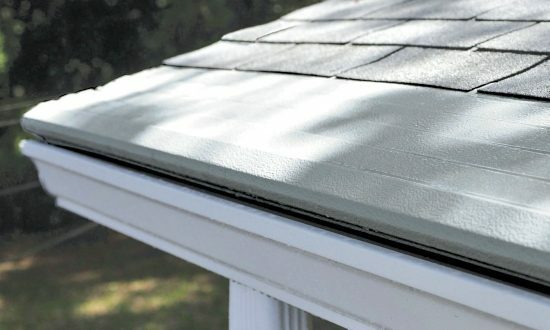 Although the cost of gutter covers may seem like quite an investment at first, once you realize their many benefits, the cost seems negligible. Not only can they help prevent costly water damage, they eliminate the need to clean gutters or pay someone to clean them. If your water damage is from overflowing gutters and you’re interested in finding out the cost of gutter covers, call Gutter Helmet at (800) 824-3772. We’ll connect you with our local installer for a free estimate.